Why You Should Transfer Your Thrift Savings Plan to Precious Metals IRA? Military personnel and federal workers can participate in Thrift Savings Plan known as TSP. This is a government program. This plan has many investment functionalities. However, to safeguard such an investment against recession, you can transfer your Thrift Savings Plan to Precious Metals IRA. This can safeguard your investment against economic collapse, monetary devaluation, and recession as happened in the past. You need to learn the benefits of converting to Precious Metals IRA, as well as how the TSPs work. Thrift Savings Plan is a retirement plan created by the Federal Employee’s Retirement System Act of 1986. This means that it is meant for federal employees. It covers military personals, civil servants, uniformed services, as well as postal service and other federal workers. The aim of the act is to enable federal employees to reap the same type of profits that private sector workers enjoy in 401(K) policies. TSPs Contributions Employees covered by the program set aside a certain dollar amount on every paycheck; it can be a certain percentage of their income to be paid to the plan. The annual limits change, but as in 2015, the annual limit was put at $18,000. If you reach the age of fifty, you become eligible to what is known as catch up contributions under the program. The plan is meant to secure post retirement earnings of the federal government workers. It was simple in design and that is why it can be easily availed by the workers it was meant for. Moreover, the system makes for a continuous retirement income for the participants. Federal Retirement Thrift Investment Board gives the account to the federal workers. It was meant to resemble the structure laid down by the private sector 401 (k) programs. They also function in a similar manner. How the Thrift Savings Plan works ? The account can be funded through different methods, which include money transfer, cash deposits, as well as checks and rollovers. The program equally accepts IRA conversions. The money is saved as part of post retirement plan.The contributions to be made to the account vary and it is governed by either the newer FERS that the Federal Employees or CSRS that is the Civil Service Retirement System, this is an older method. The old system covers those who were working before 1987, while the new system covers those that are hired after 1987. If you are covered by the CSRS, it means that you are not eligible for matching contributions, which are available for those covered by FERS. Investment Options Thrift Savings Plan has different investment options, which the program participants can easily select from. The most popular among the plans is Fixed Income Index Fund, Government Securities Fund, as well as the Common Stock Index Fund. There is also the Lifecycle Funds. This last one serves the combination of various options. Who can benefit from a Thrift Savings Plan? Initially when the plan was conceived, it was meant to encourage savings among federal government employees. The plan takes into cognizance those federal workers who had the plan, but now wants to discontinue with the federal work they do. It provides that such funds account is to be rolled over to any quality retirement account that is meant for civilians. The government decided to include this new feature when they discovered that younger persons are not entering to federal service and it was to encourage younger persons to enroll into the federal civil service. The size of the account savings can vary and a number of factors, which include:The contributions made by the person. The amount the agency contributed to the account. Finally, it depends on the total earnings, which the account invested has earned. When TSP was started, many military workers and civil servants were not eager to enroll because of the fear of the unknown. They were not comfortable because they were afraid that the saving strategy could not favor them in the end. They were afraid that it would make it difficult for them to leave the service when they want. Secondly, their investment may be lost if they decide to quit the service on their own. However, the government has countered their fears and that is why the issue of rollover and to any civilian retirement account was introduced. How do I transfer my retirement funds from the Thrift Savings Plan to a gold IRA? If you want, you can transfer your retirement funds from TSP to a gold IRA. You cannot invest your money directly into the precious metals through TSP’s. You must first learn whether you are eligible. You should know that you might not be able to withdraw from that account, if you have not reached the age of 55. If you do, then it may incur you a ten percent penalty for withdrawing before the required time. Moreover, you would be required to pay an income tax reflecting the amount, which you withdrew. Because of a problem like this converting to a traditional IRA is problematic. If you have left the job, then you would be able to rollover that TSP. If you are still in government work, the option is not ripe for you. You should know however that if you want to belong to the precious metals IRA, you must quit TSP. This means that you have to close the TSP irrespective of whether you are eligible for it or not. Before you do the roll over plan, check for brokerage firm, which provides this type of account that can hold the type of precious metals you want. Search through the internet and you would discover reputable companies that can facilitate the process for you. We are recommending Regal Assets Company for you. Moreover, you can discuss the brokerage firm on the possibility of setting up benefit retirement account. This account can hold your precious metal. You can even buy those precious metals, if you have already withdrawn your money and use the money to buy precious metals of your choice. How do you invest in precious metals? You should seek advice from good investors on the best ways that you can invest on precious metals. 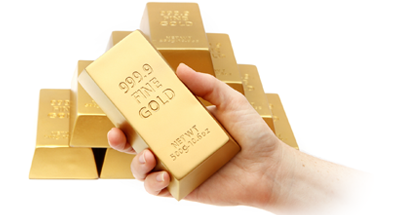 The best investment options that you can make here include investment in gold, platinum, as well as silver. These metals are known to be very stable even in the time of financial and economic uncertainties. If you are looking for the most equitable and diversified investment portfolio, then you can opt for this type of investment. Most importantly, you must familiarize yourself with the principal ways of investing in precious metals, which include certificates, tangible bars and coins, precious metal mutual funds, gold and metal futures, as well as stock in mining companies and so on.If you want safety and diversity of your investment, then you can consider investing in bars or in coins. Moreover, there is the need for you to breakdown those precious metals into subcategories, which include bullions and numismatics. Bullion here represents gold, which includes pure gold, while numismatics refers to mint coins. Search diligently for the best precious metals dealers. They are in brick and mortar stores. They are available online as well. Before you make your choice, you have to consider a number of factors, which include the length of years they have been in that business. This is helpful in determining the experience. Moreover, find out their areas of specialization. Numismatics market is equally important; you have to educate yourself about that market. You should know the coin design could affect the quality. If you do not want to store anything, you can opt for a certificate. Certificate is equally good it specifies the quantities of precious metals you. How easy is it to transfer or rollover your retirement IRA? There are two different ways that you can transfer your retirement funds from the Thrift Savings Plan to Gold IRA. In the first option, you can decide to do a transfer. Your IRA custodian can prepare a distribution check and this can be transferred to your new IRA custodian. You can repeat this process several times of your choice. Regal Assets would assist you in this. The second way of doing it is through a rollover. Your custodian will give you your retirement fund, which you invest in a new IRA and this can be done within sixty days. If hold that fund for more than sixty days, you would be required to pay tax based on the total amount that you have withdrawn. If you still want to keep the tax deferred status of the retirement funds, the money can be rolled over one time in twelve months. 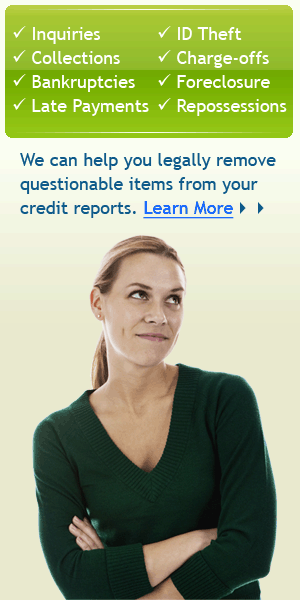 The whole process is going to be easy if you use a reputable company such as Regal Assets to guide you in the process. If you follow the first option, you discover that you can always transfer your retirement plan. The most important thing is to look for a company that facilitates the process for you. It is possible as long as assets can be moved from one custodian to another custodian. The distribution check is always prepared in the name of the new IRA. If you use a reputable company like Regal Assets be sure that you can always make this transfer as many times as you like. Why transfer to precious metals Transferring to precious metals like gold is a good way of safeguarding your retirement savings. Gold IRA can help you a lot because it can reduce your retirement benefits volatility. History has shown that gold would always move in another direction from mutual funds, bonds, and stocks and so on.Most importantly, precious metals like gold are tangible and they can make your assets to become safer and more profitable. You do not have anything to lose but more to gain. If you make gold or other metal IRA in your retirement account, it is going to increase its value within time and it is going to increase your returns and minimize risks at the same time. What are the precious metals allowed? Not all the precious metals are allowed by the United States government to be held in a retirement account. Some of the precious metals allowed are American eagle coins, Australian philharmonic, Australian Nugget coins, Canadian maple leaf coins, US Buffalo gold, credit Suisse gold, and several others. The point that you should note here is that the US government does not allow all precious metals. 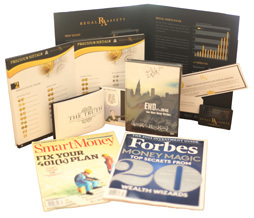 To get the best of this investment you have to use a reputable company like Regal Assets. The company is in business for a long time. Their account setup process is simple, and the transfer process is simple and fast. The fees are affordable and they always included in the price of the precious metals you buy from them. This is the final price you pay, and there would be no extra fees. Even if the price of precious metal fluctuates, they do not change the price. You have seen that is safer to transfer your Thrift Savings Plan to precious metals. You have a lot to gain when you do that. You are going to enjoy huge returns of your investment. The process is easy and simple. You do not have anything to lose, but much to gain. Request your free gold IRA rollover kit from Regal Assets or click here to get more information on how you can safeguard your Thrift savings Plan by including physical gold and silver.